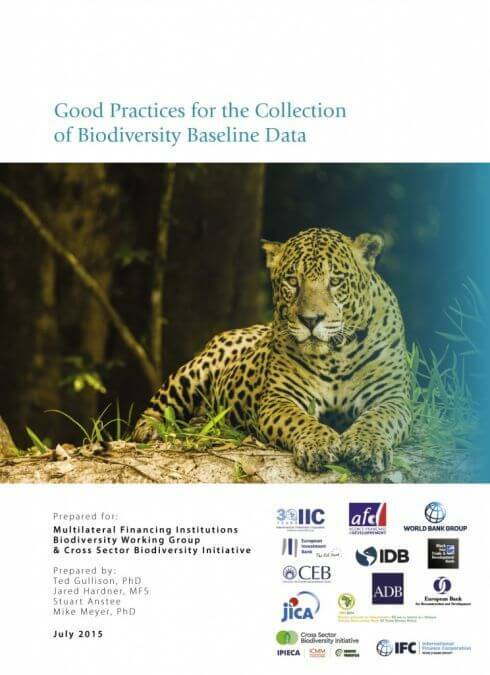 CSBI’s Good practices for the collection of biodiversity baseline data guidance document has been developed to aid those involved in conducting Environmental and Social Impact Assessments (ESIAs), and is based on a review of numerous reports and documents from multi-lateral financing institutions (MFIs), government regulators, industry associations and non-governmental organizations. 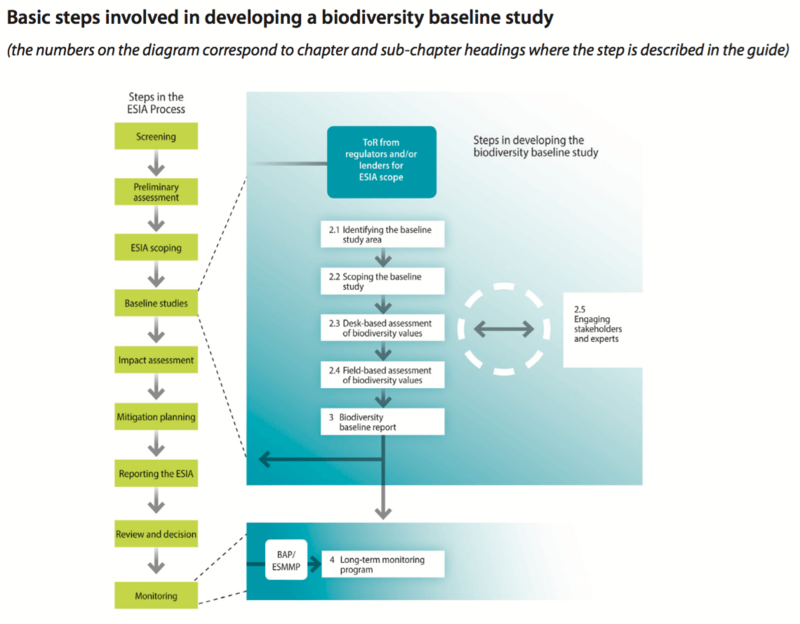 The guidance summarizes good practices for biodiversity baseline studies that allow biodiversity to be included effectively and fully in impact assessments and related management plans. Through clear, practical guidance, it helps practitioners to understand the technical concepts underpinning biodiversity baseline studies, specify the required studies/analyses to be undertaken, identify the specialized skills required to undertake them, and interpret the results. A biodiversity baseline study is the collection and interpretation of information on the biodiversity values at a site; this includes the species, habitats and ecological systems present, their current condition and their trends before a project commences. Biodiversity baseline studies play an important role in supporting the assessment of the risks and impacts of projects on biodiversity. They allow for applying the mitigation hierarchy and designing long-term biodiversity management and monitoring measures. The guide is available in English and is a companion document to the MFI Biodiversity Working Group’s Good practices for biodiversity inclusive impact assessment and management planning and CSBI’s Timeline Tool and A Cross-Sector Guide for Implementing the Mitigation Hierarchy.